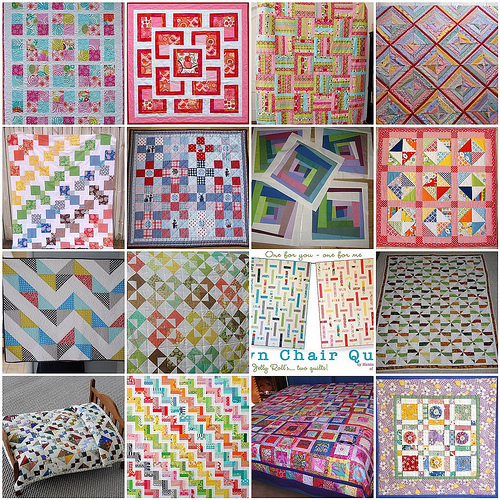 Today marks the first day you are allowed to ship your doll quilts! 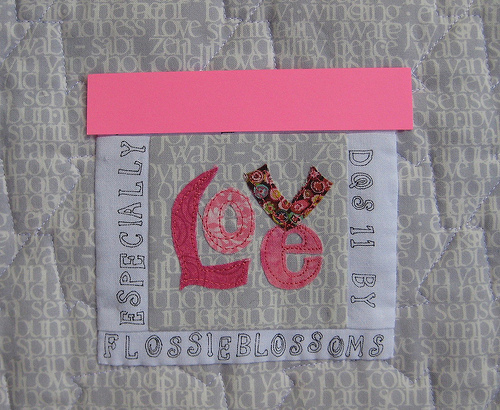 Internationally, that is! 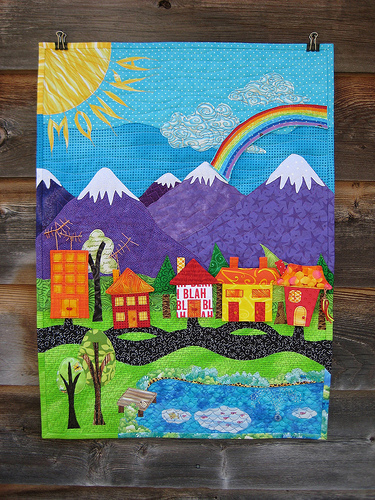 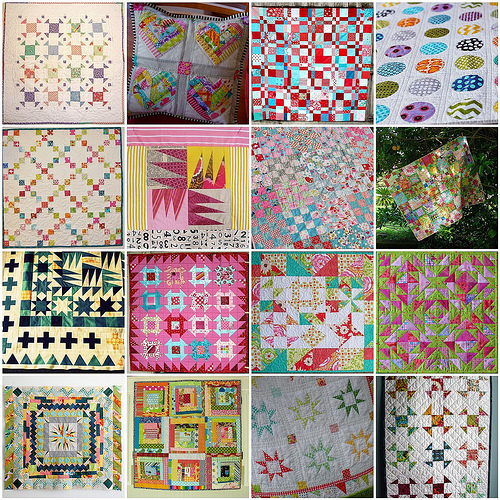 International quilts can be mailed Aug. 9th and must be sent by Aug. 16th. 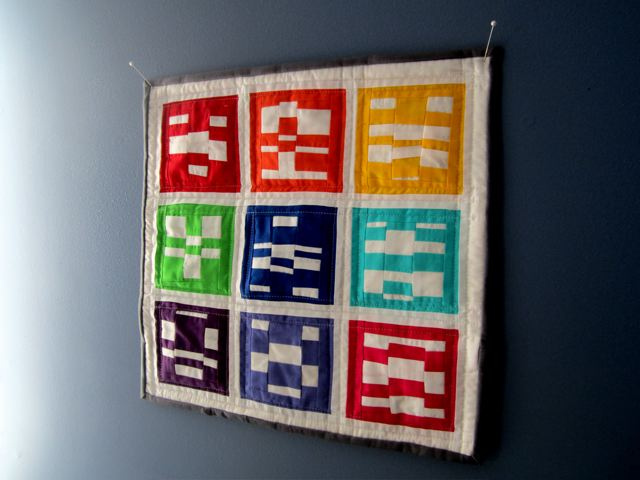 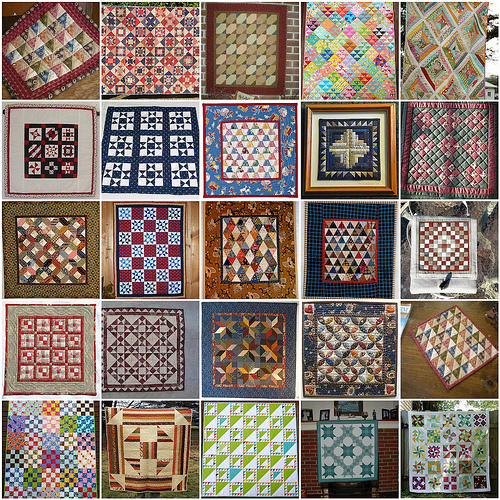 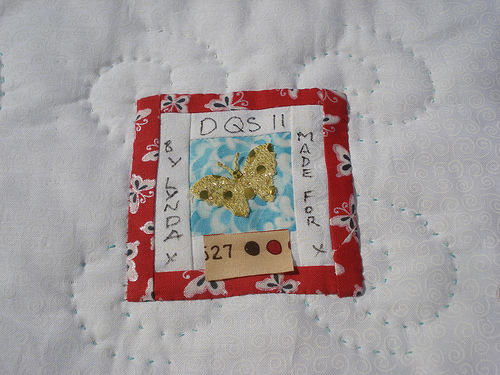 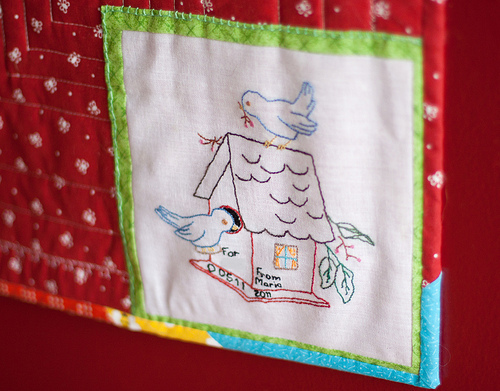 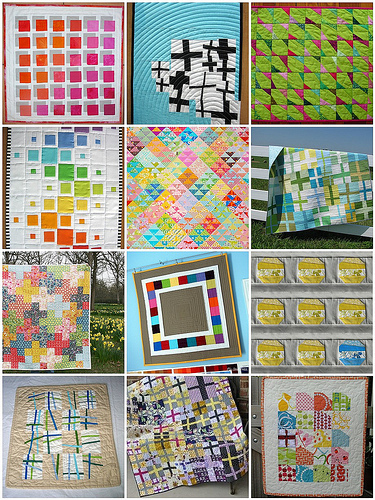 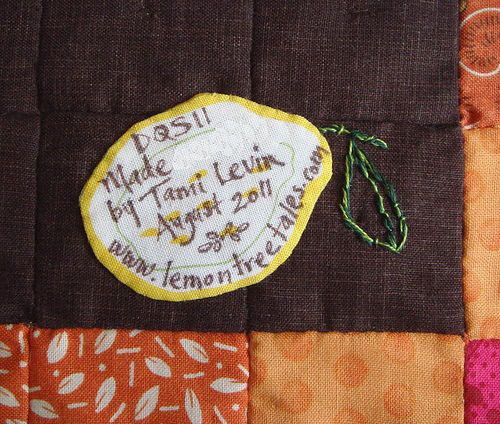 Domestic quilts must be mailed by Aug 23rd. 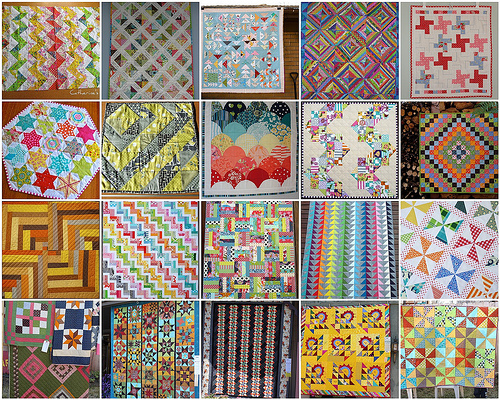 There have been some amazing quilts getting finished up in the group. 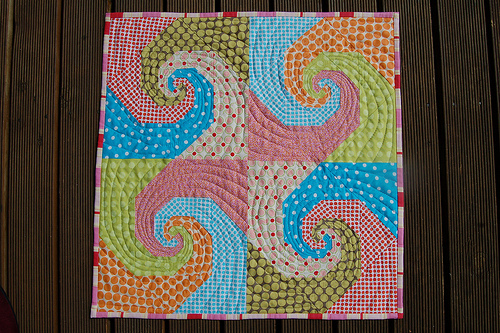 A colorful square in square doll quilt has been made by Four Monkeys Quilt, I just love the cool colors and stripey binding! 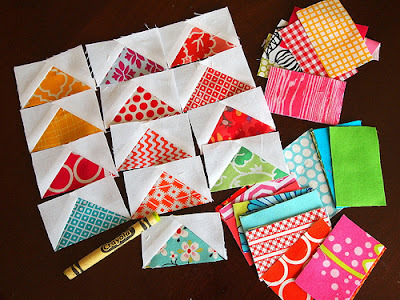 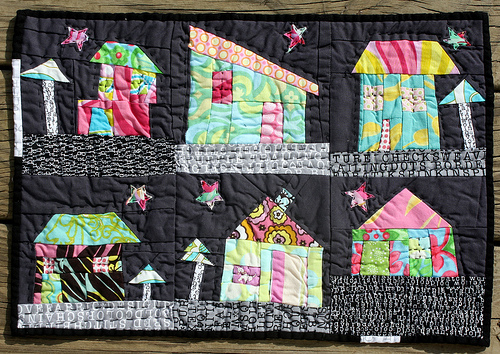 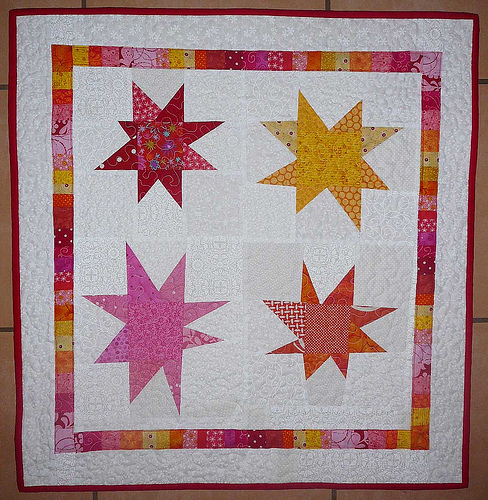 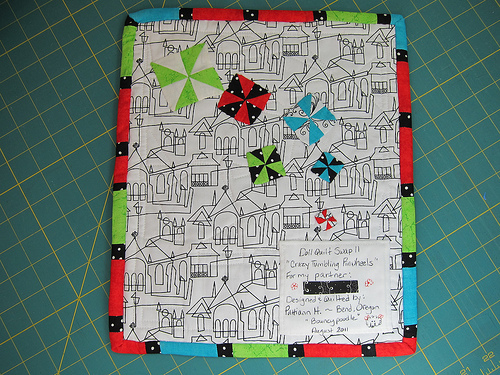 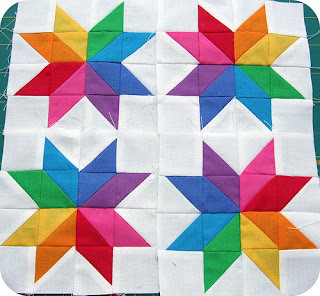 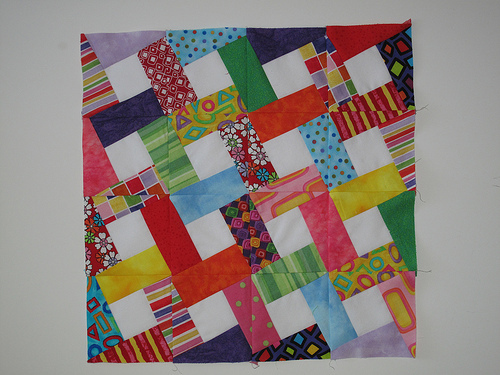 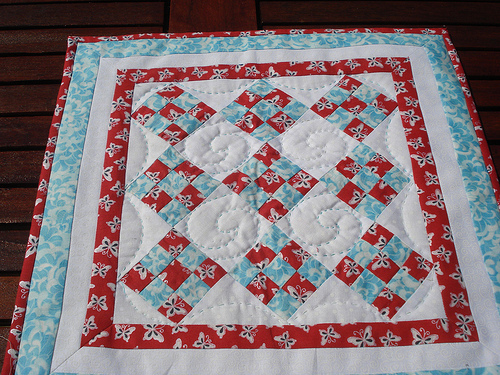 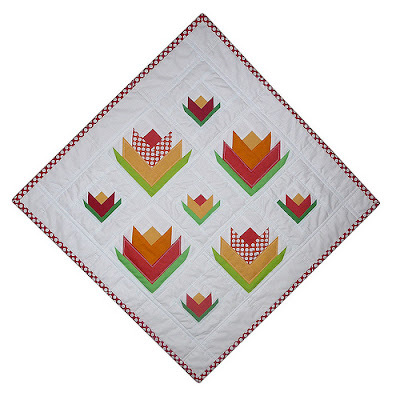 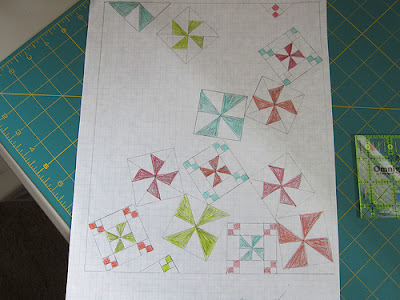 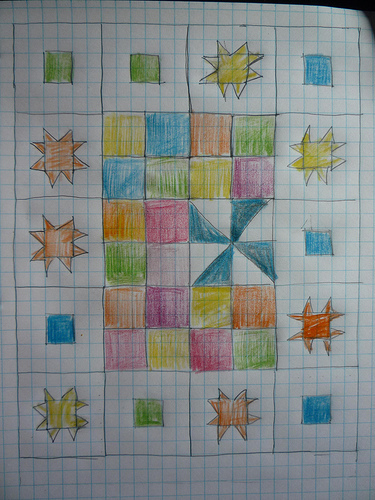 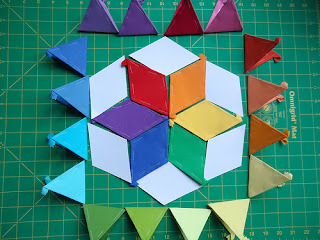 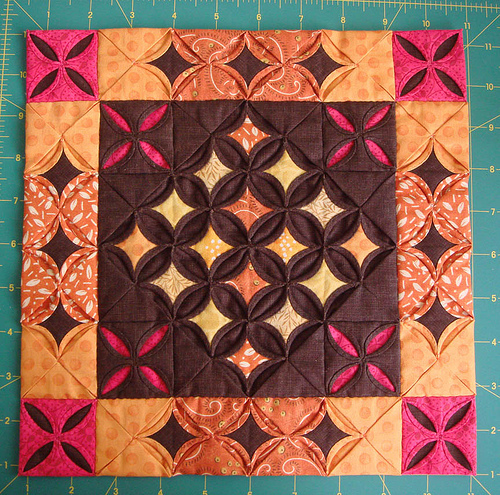 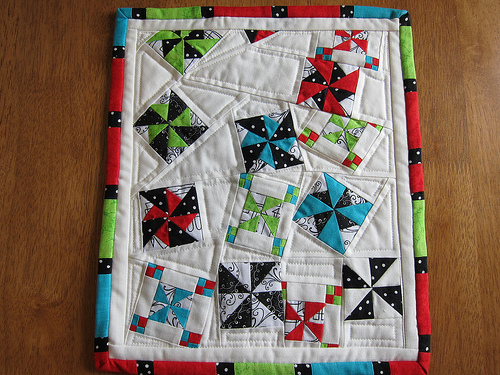 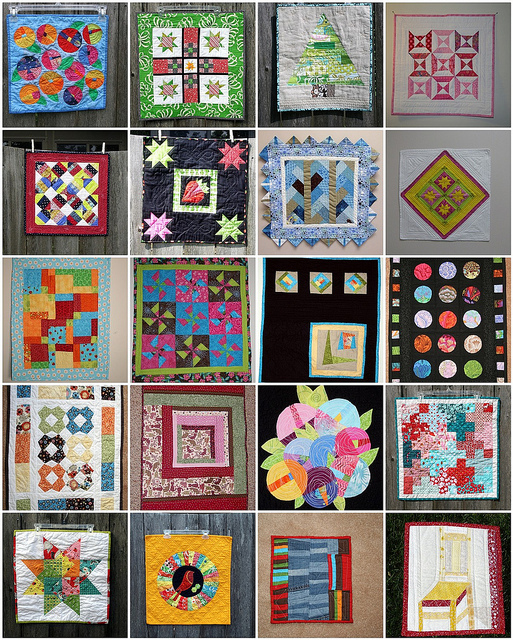 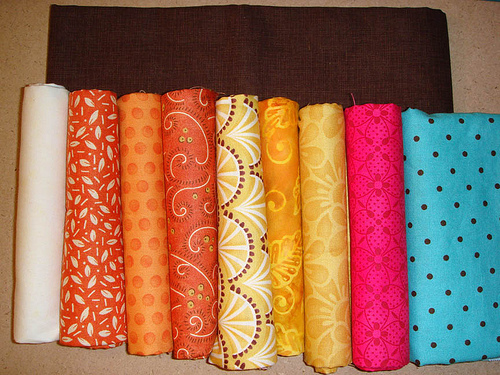 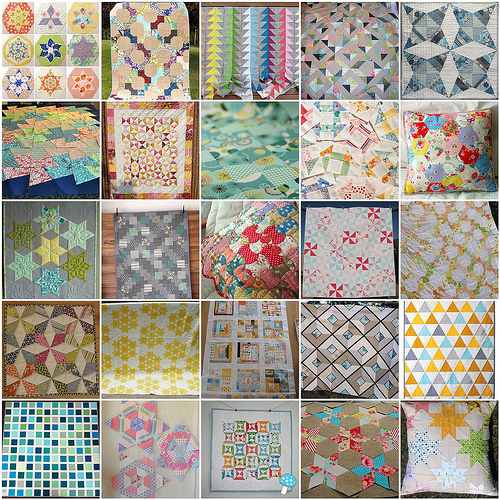 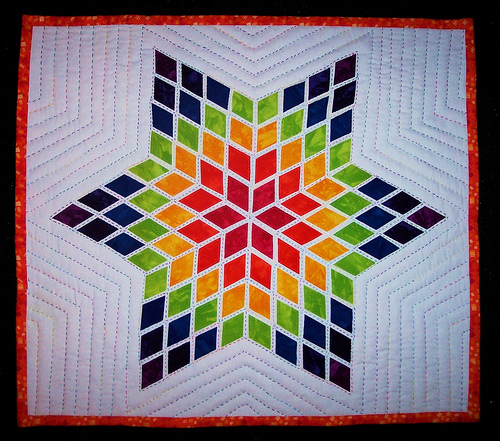 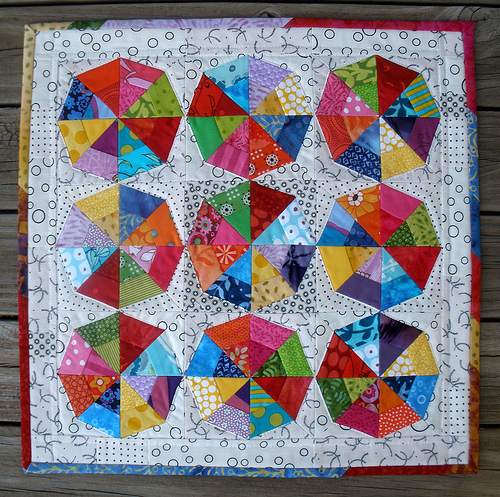 Bouncypoodle made a 'Crazy Tumbling Pinwheel' quilt, and I think anyone would be excited to receive this one! 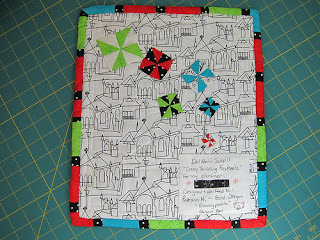 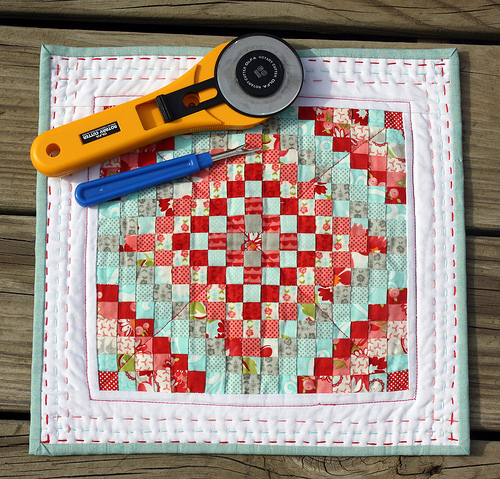 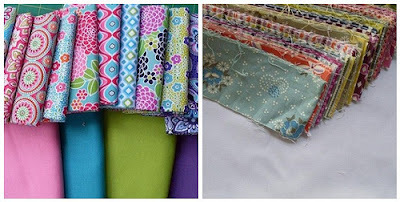 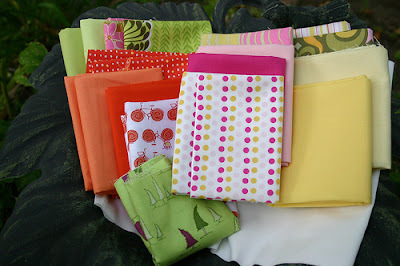 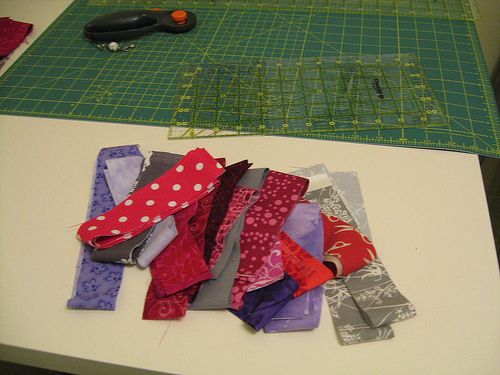 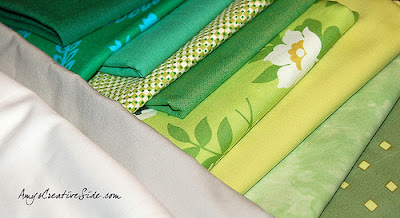 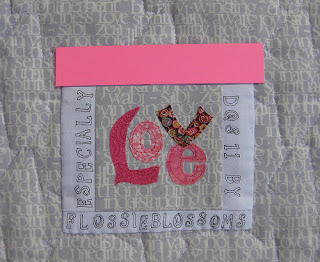 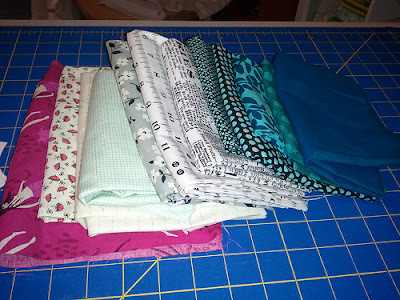 The fun scrappy binding is so perfect! 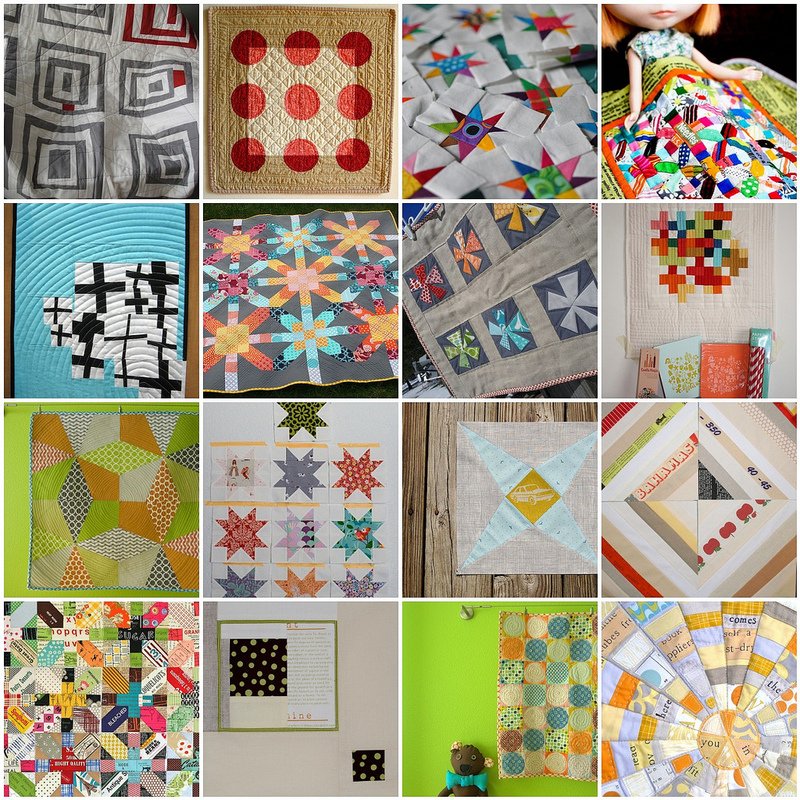 Mindboggld created a doll quilt with such tiny details! 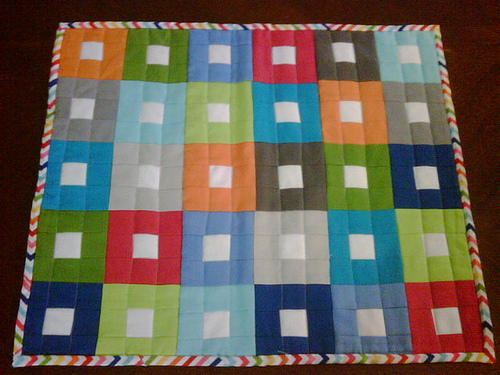 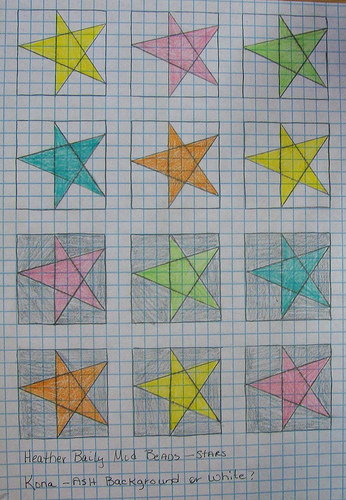 Those squares finish up at only 1/2"! 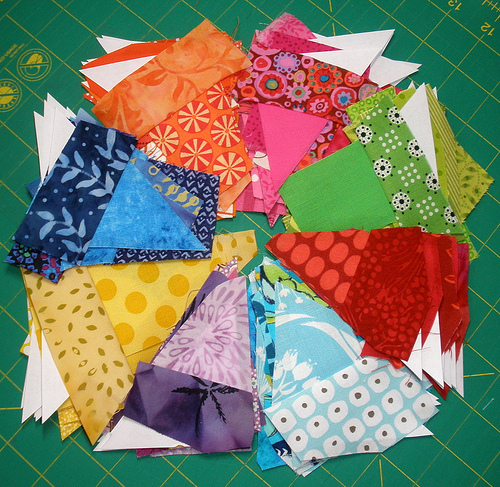 Well I don't think the swap participants are afraid of color this round! 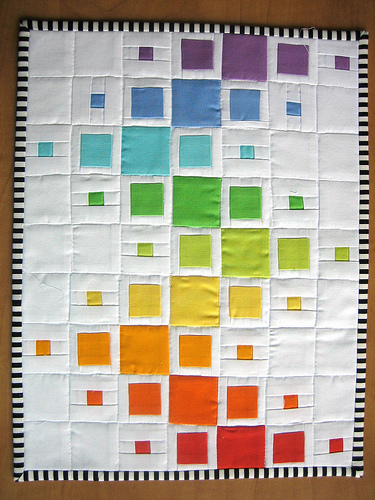 Lots of bright, rainbow colored blocks have started to emerge in the group pool. A Girl In Paradise has her quilt top finished up - and its fun and colorful! 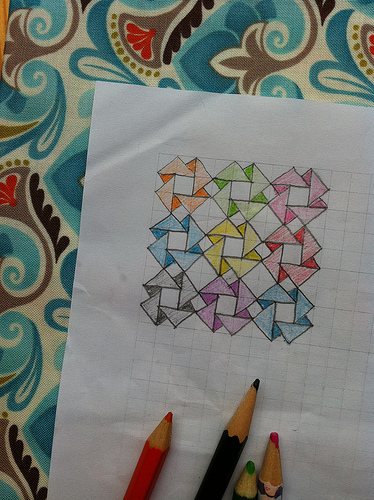 The participants in the swap are starting to get some ideas flowing now! 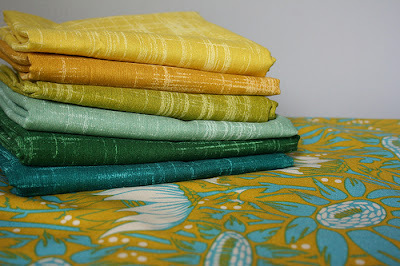 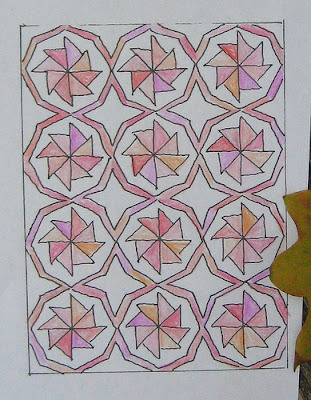 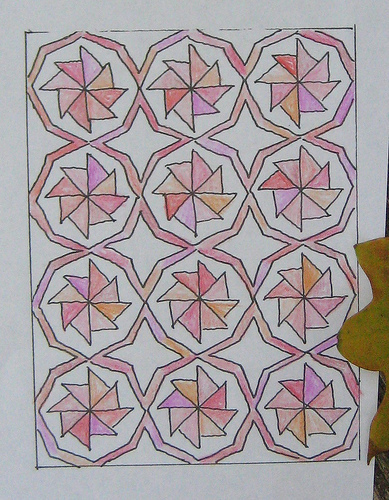 There has been lots of sketches of what people are going to make and a some stacks of fabrics to tempt us. 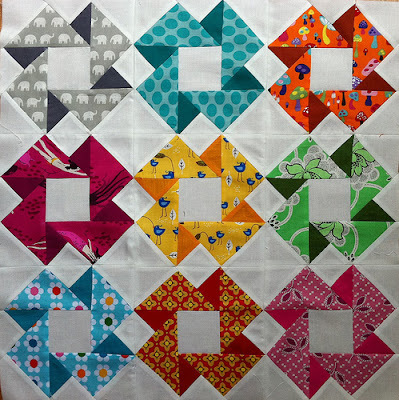 Partner emails went out this weekend, so bebe's should know now if they made the lottery and got into the swap this round or not. 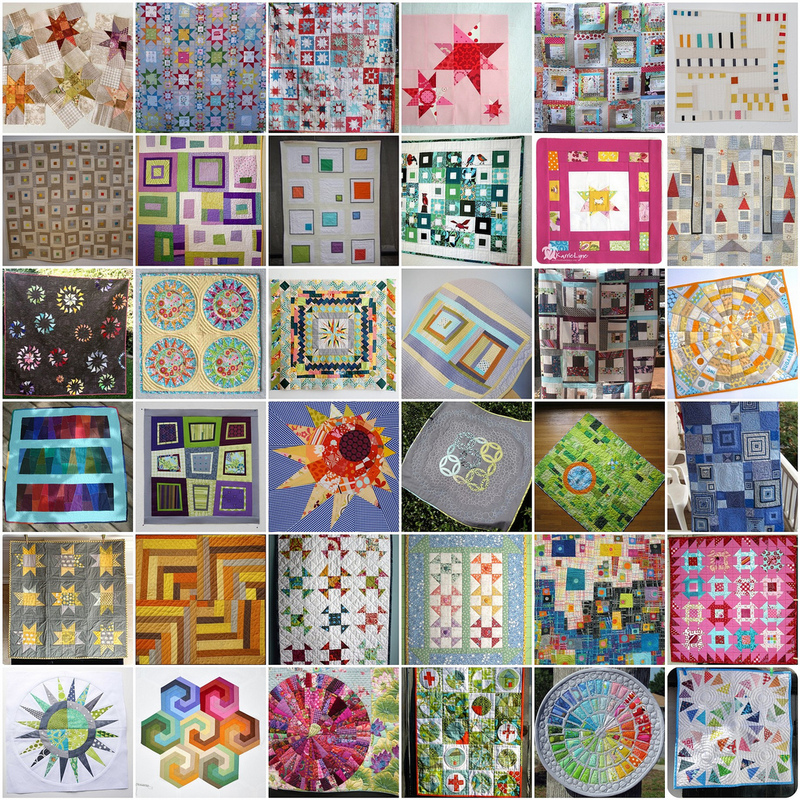 A mosaic is a great way to inspire your partner with your quilting style, color themes you like and even bitty blocks that you love. 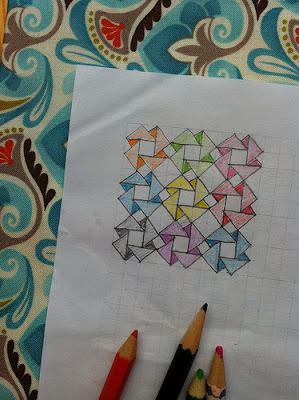 Don't know how to make a mosaic? You can find out how in this thread in the Doll Quilt Swap 11 Mosaic Group. 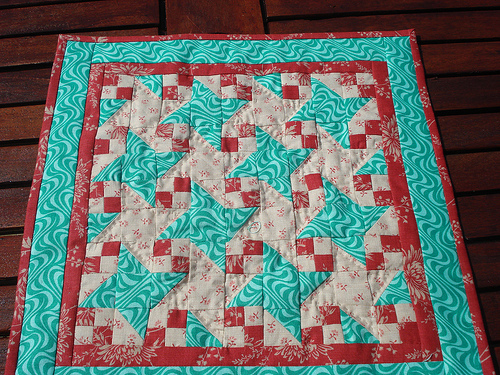 Carol, Mamacjt is our Angel Mama for the group. 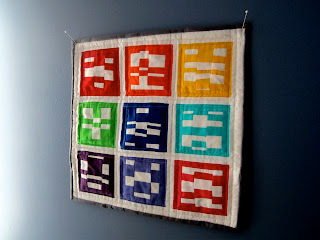 That means whenever someone gets a partner who flakes, or a quilt is lost in the mail, Carol makes and send them a quilt! Carol already has 3 (Yes, three!!) 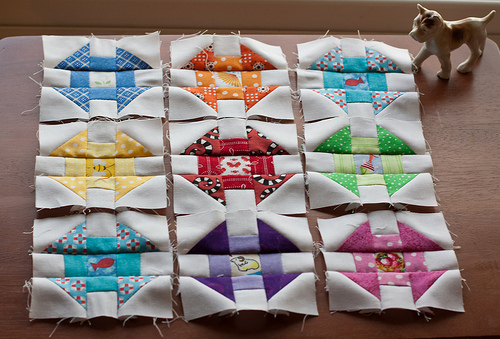 doll quilts made ready to be sent out as angel quilts for this round. 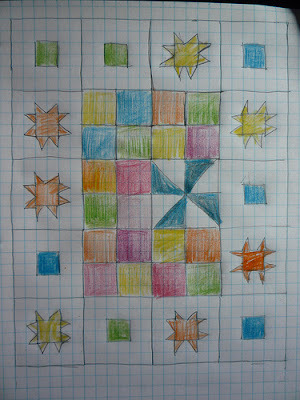 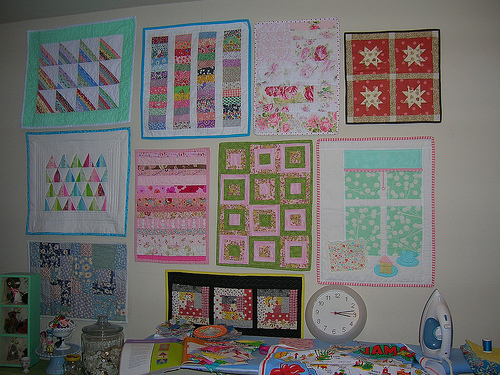 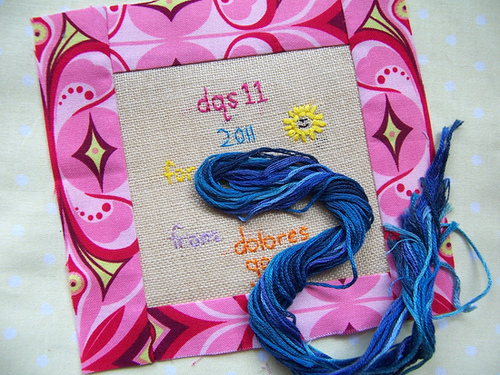 Partner emails go out around July 8th, so now is a great time to practice some mini quilt blocks, update your flickr stream with projects you have been working on, gathering up favorites to use in a mosaic if you are in this round, and most importantly- Stay Active & Participate in the Doll Quilt Swap Group!